The holidays are here and we couldn’t be more excited to see all the beautiful decorations on the homes in our neighbourhood. It makes everything so cheerful! Unfortunately, it also means that your home is more attractive to burglars. 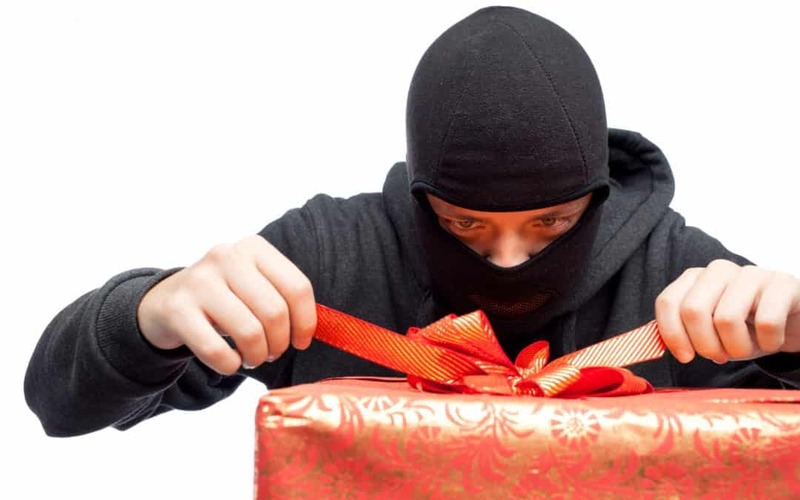 What’s worse is many homeowners don’t even realize they are creating an invitation to thieves with some of their holiday behaviour. Don’t get us wrong, you can still enjoy the holiday be decorating your home, but if you don’t have a security system there are a few things you can do to keep your home (and presents) safe. With the convenience of online shopping from most retailers, it can be tempting to have all your gifts delivered right to your door. Unfortunately, thieves are on the lookout for packages left on porches. To avoid losing your purchases to sticky hands, consider having items shipped to the store for pick up. If that isn’t possible (for example ordering on Amazon), make sure someone is home all day during the scheduled delivery time frame so packages aren’t left sitting outside. We know, we know, holiday trees are so much more fun with gifts under them! However, they also become a flashing neon sign to burglars, especially if they are visible from windows. There are two solutions for this: decorate the base of the tree with a standing skirt or other decoration that fits your theme or wrap empty boxes so that you have the “full tree” look. This, however, may still lead to a break in. If you decide to take your chances, be sure to keep doors, windows and garages locked at all times, even if someone is home. Also, remove any “hidden” keys you may have stored outside your home. One of the easiest precautions you can take is to avoid announcing your holiday purchases or travel plans online. We know it’s tempting to brag about a destination getaway or even express excitement by counting down days until you see your family and friends. However, these types of statements made on social media leave you wide open to holiday theft. The same applies to announcing expensive or desirable gift purchases on your profiles. Don’t provide thieves with an inventory list! While it may seem silly or inconvenient, taking a few extra precautions can help save so much time and prevent frustration during the holidays. One other precautionary measure you can take, especially if you are leaving town, is to have rolling shutters installed on your home. They add a lot of security. They also make an excellent holiday gift! If you have had some unfortunate experiences in your neighbourhood in the past, we would love to talk to you about our rolling shutter options to increase your home’s security. Contact us to setup a time to discuss your security needs.